Cover work area with wax paper, old newspapers or aluminum foil to make clean up easier. 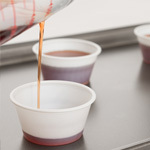 Prepare the Dixie cups by placing pre-tabbed wicks in the center of the cups. 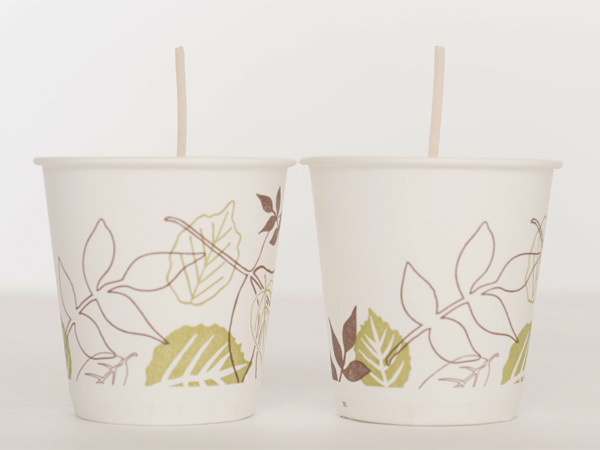 A pencil can be used to wrap the wick around to keep centered in the Dixie cup if necessary. Set these off to the side. 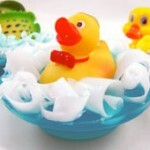 Tip: Place the wicked Dixie cup molds on a cookie sheet to make moving them easier. 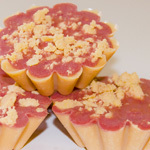 For this tutorial, KY Para-Soy Votive Tart Blend is being used so it will need to be heated to approx 165° F per the manufacturer guidelines. Use the thermometer to properly monitor the melted wax temperature. Set the pour pot on the digital scale and tare. 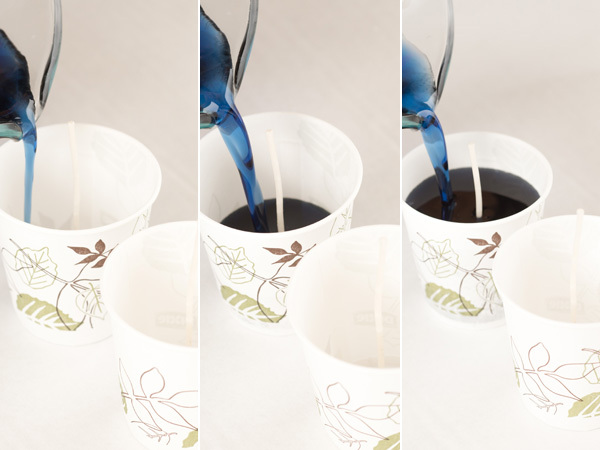 Transfer needed amount of wax to pour pot — in this tutorial (2) 3oz Dixie cup votives will be created, so 6 oz total candle wax will be needed. 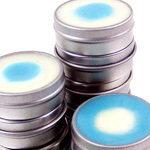 Transfer 6 oz of wax, and add .6 oz of Rustic Escentuals Fragrance Oil. Stir well (approx 2 min). Then add 2 drops of Rustic Escentuals candle dye. 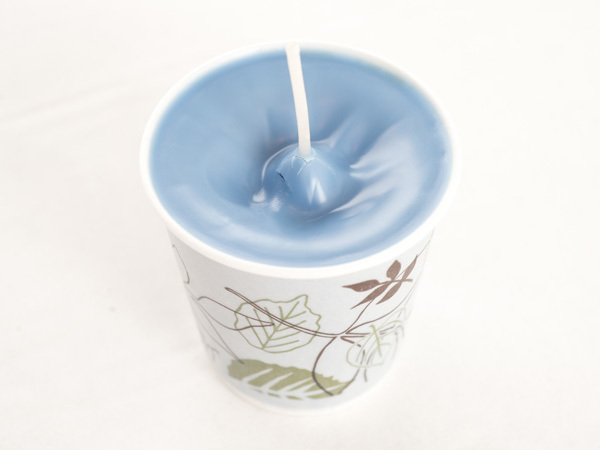 For this tutorial we used Wedgewood Blue candle dye and Blueberry candle scent. 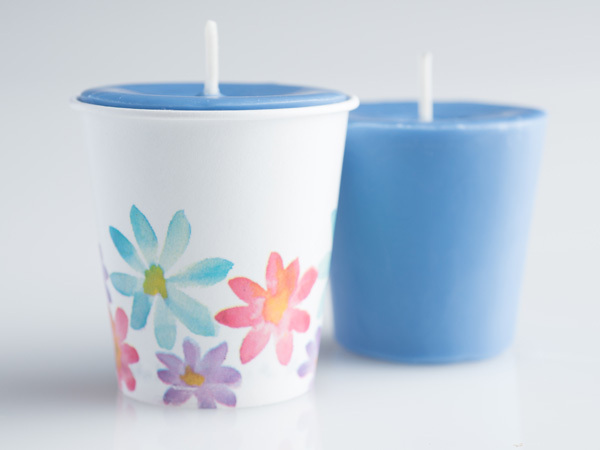 When mixture has cooled to approx 155°-160° pour into Dixie cup votive molds. Note: Don’t overfill — fill until approx. 1/8” is left in the Dixie cup mold because room is needed for a re-pour later. 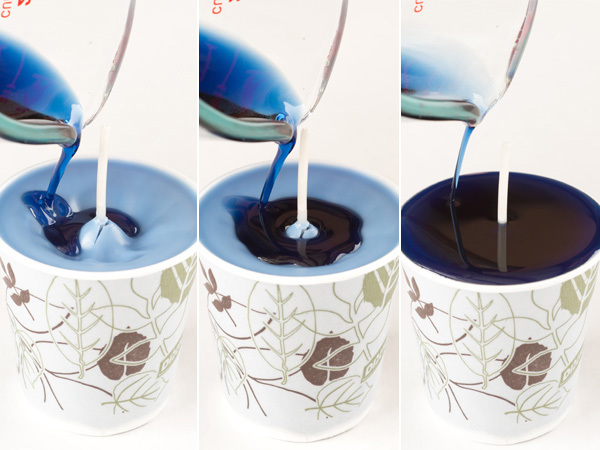 Once the first pour has cooled enough that it has stopped shrinking, it should look close to the below photo, prepare to do the re-pour. 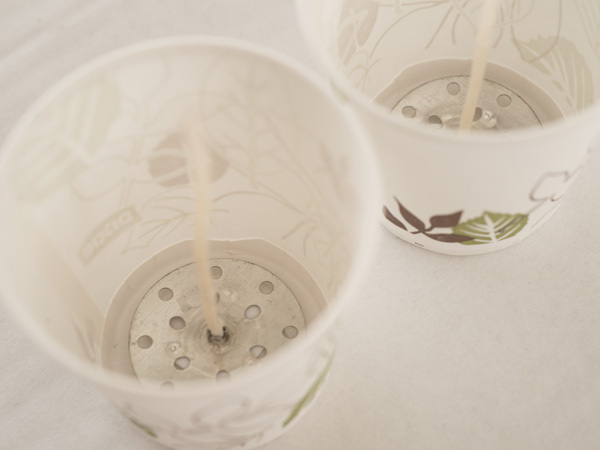 Do the re-pour while the votives are still somewhat warm because it helps to ensure proper adhesion of the two wax layers. For the re-pour, fill to the brim without overfilling! There will be some shrinkage, so for a nice even top they need to be full. Let the candles cool completely. 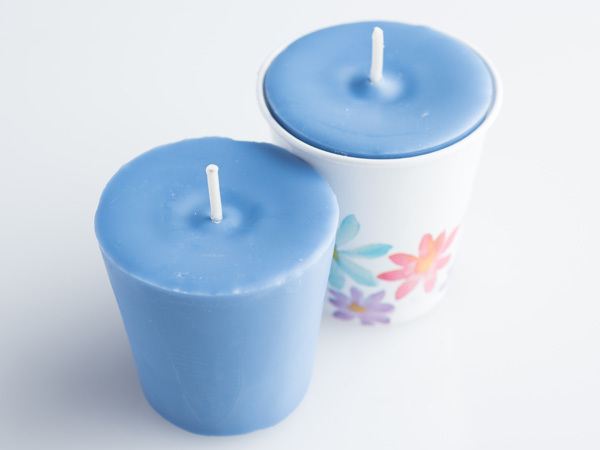 Once completely cool, remove the wick holder and simply peel off the Dixie cup from the candles. 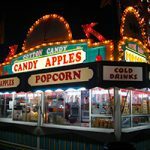 Let cure for 24 hours. Trim the wick to approx. 1/4 inch, place in an appropriate votive holder, light & enjoy. Wax weights are approximate and not exact. 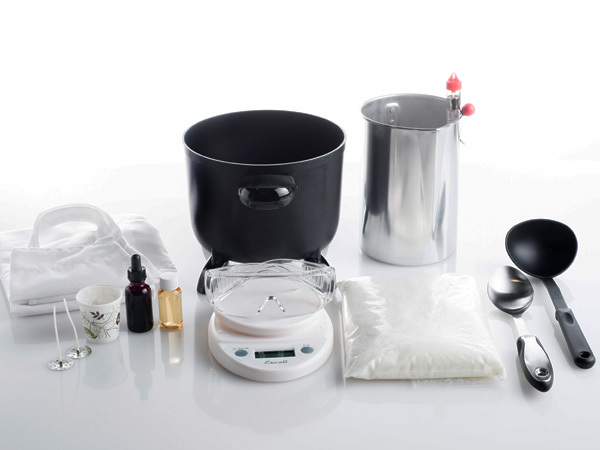 Wax, fragrance & colorant selections in this tutorial are for demonstrative purposes only.